I don't think this English side could beat Brazil and then France, beating Sweden and then Croatia, yes they can, surely that has to be classed as luck how the draw worked out? While there is maybe no 'easy' games in the World Cup, (I think it was easy against Panama no? ), you have had a very nice route to the semi's. I said it earlier this week, if this was an England side from say 2006 they would steamroll this World Cup, it's all about timing. The England sides from the early 00's is better than this side, but here we are and this side is going for the final. Interesting you say this as a lot of pundits were wary of England's ability to break down so called weaker sides and it would play into our hands to be underdogs instead because of the pace in our side and counter attacking. So take your pick really. I think we did well to be on the side of the draw away from the huge favourites of the competition (Spain excepted - you can make a case them losing on pens is luck). Interesting you say this as a lot of pundits were wary of England's ability to break down so called weaker sides and it would play into their hands to be underdogs because of the pace in our side. So take your pick really. I think we did well to be on the side of the draw away from the huge favourites of the competition (Spain excepted - you can make a case them losing on pens is luck). I honestly think you know you have had some luck here, you are pretty much the only person I have seen say otherwise. It's all good, I couldn't really care if England even win the whole damned thing, some things are more important to me now. It was refreshing to see the fans this time around though. I've spent a good part of the evening trying to teach my Lithuanian wife to be the John Barnes rap. you can't leave us on that cliff hanger! I wanna see! I didn't believe it before but now I do feel like it might be heading home to England with the trophy. people forget Sweden knocked out Italy in the qualifier. Jordan Henderson has extended his all time record for games unbeaten for England - 29 (W23 D6). And Holland in their group whilst beating France at home. Panama knocked out team USA btw. Of course you can make any team seem much. Reality is that England will get with Croatia, hoping that they will be at least something in the direction of fit, their second team this tournament can turn out to be a bit of a test for them. What a great performance really. Just comfortable and no dramas. Professional job. Couldn't ask for more in a quarters really. Thought everyone did well. Really happy for Dele to get that goal. Tough tournament for him so far. Pleased he got his moment. Now need Sterling to bang the winner in the Semi! Three lions #1 on iTunes and Spotify, now the whole country believes its coming home! Things got well out of hand in London today as England fans were seen trampling on an ambulance amid wild celebrations. With the Shard in the backdrop by Borough Market, dozens of supporters crowded around a London ambulance and egged people to climb aboard. And several people happily obliged, posing for photos as they did following England’s historic 2-0 win over Sweden. One woman even lifted her top up for the world to see before more people followed her up. Footage from the chaotic scenes shows the crowd singing ‘we want Jackie Chan’ before a man jumps on to the ambulance. He was then followed by a man dressed in a Gareth Southgate waistcoat before the police arrived to prevent any further damage. The fans badly dented the ambulance’s bonnet and smashed the windscreen, taking the important vehicle out of action. In a tweet following the incident, the LAS said it left a ‘big dampener on the celebrations’. Football fans across the country were seen tearing it up after England’s World Cup penalty victory. But it may have come at a price for some supporters in Nottingham who took things slightly too far when they got caught up in the excitement. A bus driver filmed the moment hundreds of fans poured into the street in the moments after England’s historic victory against Colombia on Tuesday night. As crowds chanted ‘It’s coming home’ traffic came to a standstill in Nottingham city centre. Now police are investigating after two people got caught up in the excitement and jumped on top of a police car and a bus. Shaun said he tried reasoning with the men when his bus got blocked in by crowds but said ‘there really was no need’ for the person to climb on top of his vehicle as it was stationary. ‘It just seemed like he got carried away by the crowd. Nobody was egging him on,’ Shaun said. ‘The police were struggling to contain them all. There must have been about 1,000 fans along there and only a handful of police officers. ‘They were just chanting ‘It’s coming home’ over and over again for 20 minutes. ‘If anything I wish they had switched it up and sung something else. It was stuck in my head for the rest of my shift.’ Police are investigating an incident of criminal damage after damage was caused to a windscreen wiper of a police car. No arrests have been made. England fans were filmed tearing up an Ikea in east London as supporters decided to rub some salt in Swedish wounds. The crowd well and truly took over the shop in Westfield Stratford City after England’s 2-0 victory this afternoon. In the footage, the overzealous fans are seen kicking furniture and jumping on beds as they sing ‘it’s coming home’. I was surprised how relatively straightforward the game vs Sweden was. I think Croatia will be tough despite them going all the way vs Russia. Mandzukic needs to be man marked by Maguire for me and Rebic/Perisic need doubling up on. Cars keyed, kicked & generally smashed on my street last night, English folk do not know how to celebrate. You see worse damage done in city centres on a normal boring Saturday night. Millwall supporters club are already raising funds for the damaged ambulance, what are you doing about it? Obviously other people give a ****. So the insinuation people shouldn't or won't is incorrect. Yea leave the negative crap out of this. Stick that on the England thread if you want to talk about that. We're all kindred happy spirits in here. You tell 'em bliss. Atmosphere in this country is great right now, millions of happy people enjoying themselves. If I weren't bothered about what drunken people got up to on a Saturday night before I'm not going to start worrying about it now. In the video of our fans in Benidorm, did he just hit someone with a kid on his shoulders? That’s awful from the Spanish police. Yeah. I remember the days of yore after a **** up on a Saturday night, heading into an IKEA during normal business hours causing mayhem and scaring front line staff. Mate, it's a new world! Been using a travel hair dryer for years, this is some proper babylis professional salon ****. Hair dried in seconds! Never gets the credit he deserves. Hes been one of the best midfielders this tournament. Well if you want positivity, how about this? 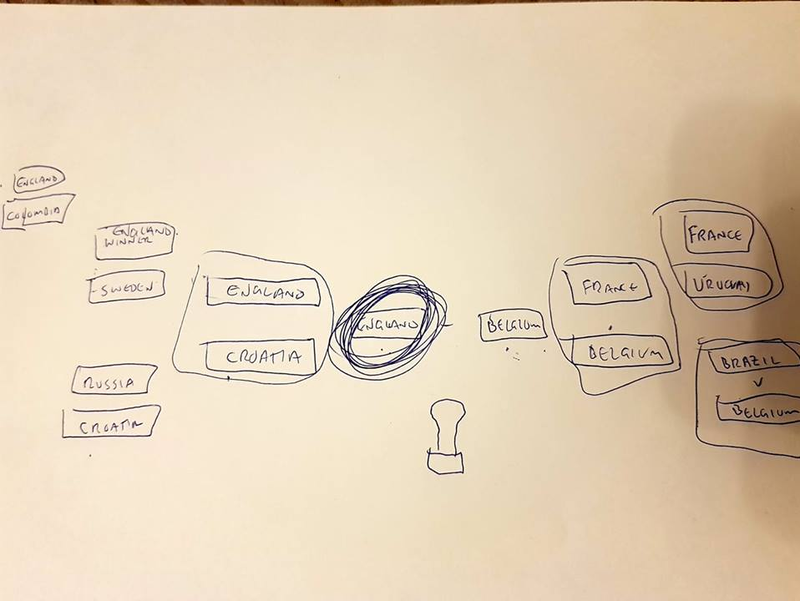 Before the Colombia/England game, a friend showed his 4 year old son how the cup draw worked, and got him to predict how the tournament would go whilst drawing this chart, and from that point on, he's been 100% correct. Some people might be suspicious of this, except the child and his father are both Scottish (indeed the father is a member of the tartan army and would love nothing more than for England to lose every match 5-0 or more) and the child was encouraged to support Argentina, Spain and whoever England was playing before this. Maybe it is coming home? Where's the 100 wrong versions? I mean, if that doesn't convince you, nothing will!!! I don't usually give a **** about politics but if the government announced a public holiday on the 16th I'd vote Tory forever. Is this for real? You got any sources? Seems a bit too accurate. It is. Last defeat was against Uruguay in the last WC (13th cap). Yesterday was his 43rd cap. Absolutely. Saw a few tweets questioning why he was even called up before the tournament which baffled me at the time and has proven to be ridiculous as the tournament has progressed. I had my reservations about him playing "alone" in midfield so to speak but even at that he's been excellent. Croatia's midfield is going to be a huge challenge up next but I think his energy against them could prove key, but obviously Modric and Rakitic are insanely talented. 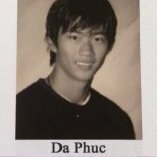 As long as we don’t start trying to be clever playing Dier & Henderson together then I’m fine. Same 11 again please.